The name of the data field within the Entity Type. By default, the Intrexx data field name is used. The name must be unique and cannot contain special characters or spaces. A freely chosen title for the data field. Allows the use of the data field in POST (INSERT) operations. 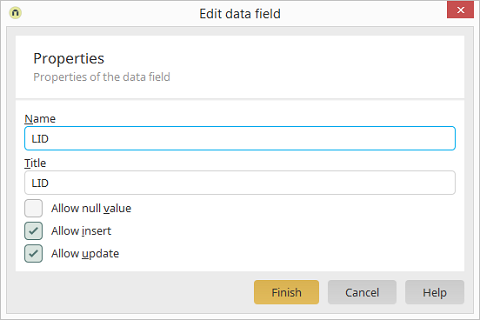 Allows the use of the data field in PUT (upDATE) operations.